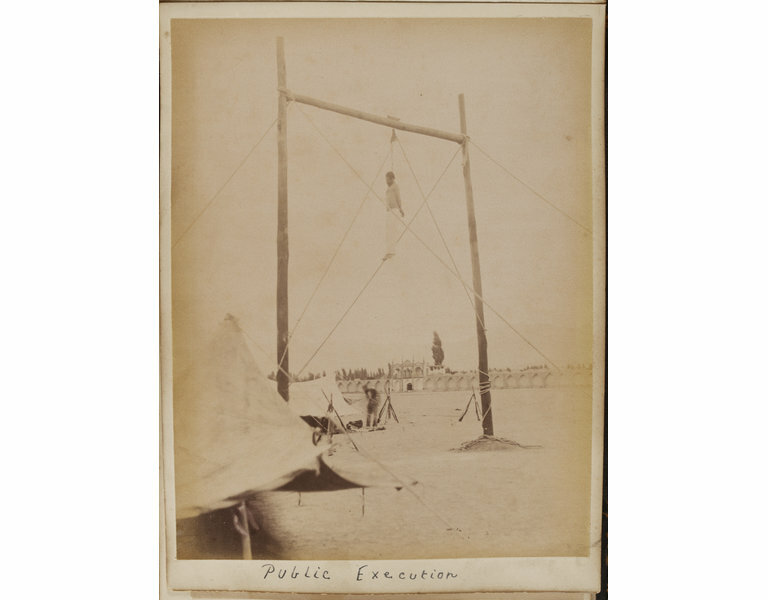 This photograph of an execution by hanging held in a public square in Iran is part of the C.R. Smith archive. 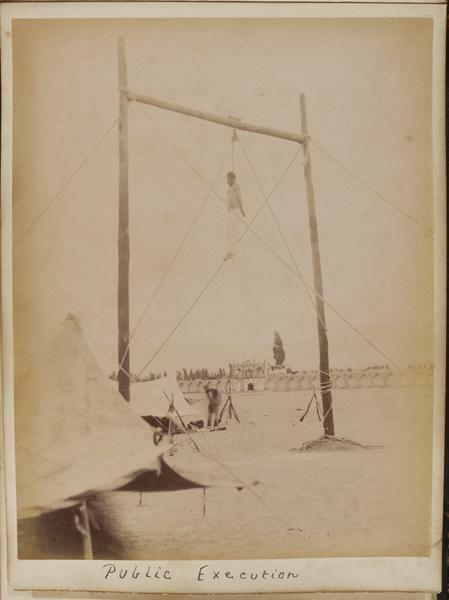 This small archive consists of an album of 60 mounted albumen prints (predominantly portraits and topographical views, taken in Iran and Iraq), a further 24 loose photographs, and a series of letters and memos. 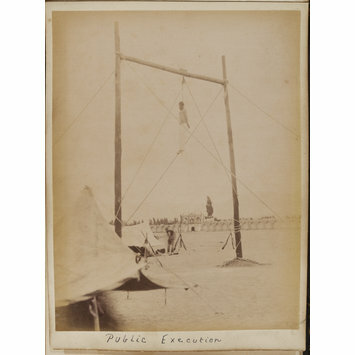 Photograph, albumen print, captioned 'Public Execution'.